VPNs have become an increasingly important topic in an information-based world and economy. A VPN is a virtual private network, and it works by establishing a connection between a device (e.g., smartphone or computer) and a server. The connection between the device and the server is encrypted so that nobody, including internet service providers, can view or intercept the activity between the device and the server. The server then does all the interfacing with the Web, while the device’s IP address remains hidden. There are many free VPNs available for computers and smartphones, but many of them have been found to sell their customer data to third party companies, effectively doing the exact opposite of what a VPN is meant for. Many VPNs that require a subscription also log customer data, making it possible for government surveillance to obtain activity data of VPN users, compromising privacy. To get around the power of a government subpoena, VPN services have had to stand by a no-log policy. A no-log policy simply means that the VPN does not log any of its customers’ usage making it impossible to divulge any data altogether. In this article we’ll be covering the best no-log VPNs to use in 2019. Private Internet Access is exactly what its name says. One of the cheapest no-log VPNs, costing only US$6.95/mo for a month-to-month plan, Private Internet Access does not disappoint for the price. It’s a US-based company which could be concerning if it weren’t for their excellent record of denying authorities from multiple countries access to their data. Their month-to-month plan is one of the cheapest on the market, while many no-log VPNs cost double what Private Internet Access charges for a month-to-month subscription. Their speeds aren’t as fast their competitions’ but you get what you pay for. Also, Netflix does not work with Private Internet Access. ExpressVPN has been in the business of subscription-based VPNs for longer than Private Internet Access and has established itself as one of the best VPNs to use. It’s without a doubt one of the best VPNs money can buy due to the speed and reliability. ExpressVPN is the top dog, especially when it comes to breaching the Great Firewall of China, the most powerful government censorship program on the planet. One of the main drawbacks of ExpressVPN is the cost, as the cheapest that ExpressVPN gets is US$8.32/mo for an entire year’s subscription. Their month-to-month rate is US$12.95/mo. ExpressVPN is based in the British Virgin Islands, keeping them relatively safe from government pressure and intelligence agencies. 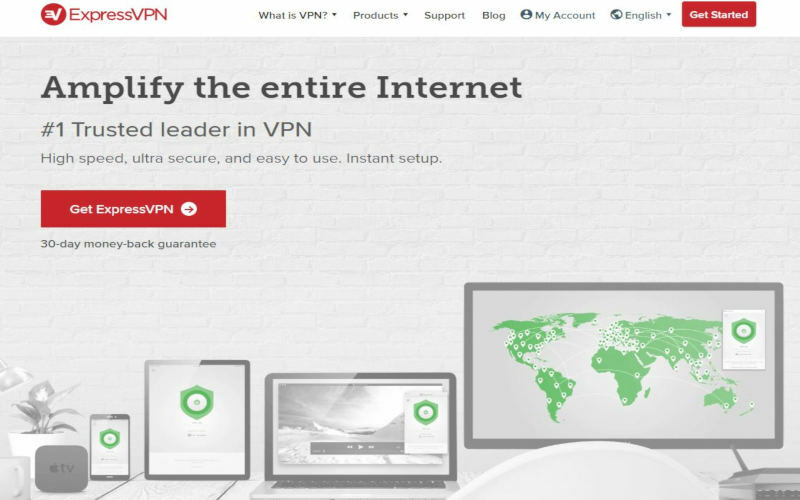 They have an absolute no-log policy, making ExpressVPN one of the best VPNs to choose for security and speed. 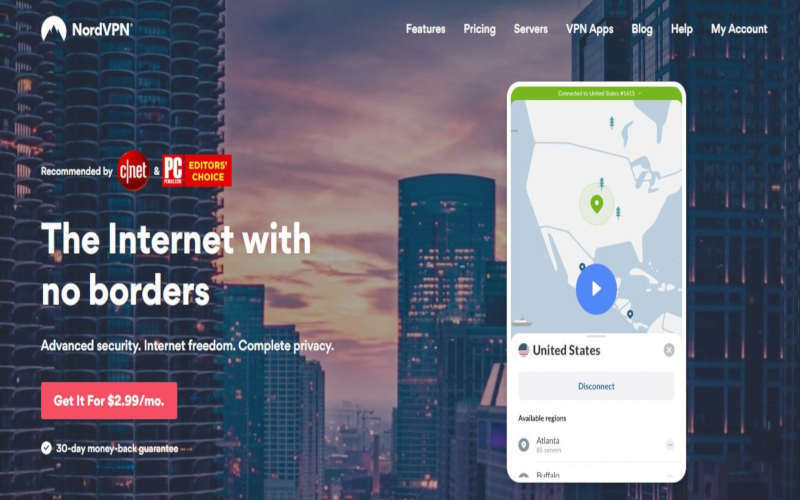 NordVPN has taken the community by storm by offering excellent speeds, six simultaneous streams, and a strict no-logs policy. NordVPN is based out of Panama, which has zero data retention laws, reducing pressure from foreign governments. NordVPN has also become an excellent option for bypassing the Great Firewall of China via their obfuscated servers. However, obfuscated servers are not available on the iOS version of the NordVPN app. NordVPN’s prices are very competitive. A one-year plan will cost US$6.99/mo, while a two-year plan will cost US$3.99/mo, and a three-year plan will cost US$2.99/mo. With all of the benefits NordVPN has to offer, these prices are excellent. 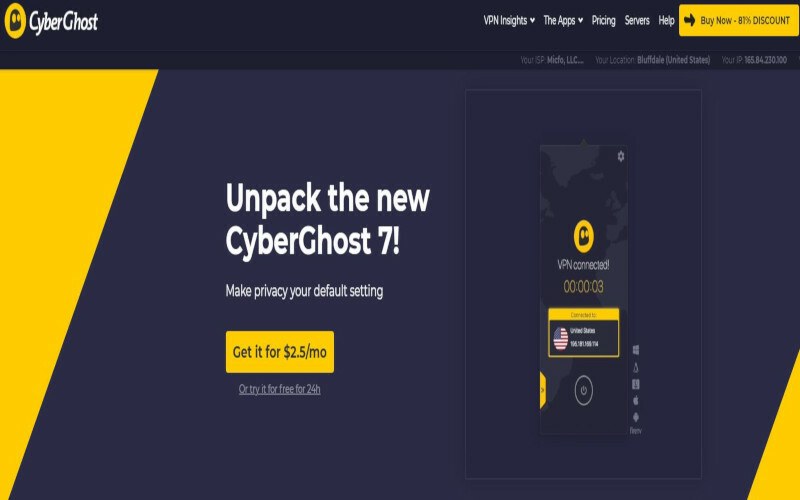 CyberGhost is a less popular but excellent VPN to choose. Their pricing is very competitive, and they allow seven simultaneous streams on different devices. CyberGhost is based in Romania, reducing international pressure from intelligence agencies. It has specialty servers meant for streaming video from Netflix and other providers. CyberGhost is very cheap with their one-year plan costing US$5.25/mo. Expect average speeds from CyberGhost. More than 3,500 servers in fifty-nine countries. IPVanish has excellent speeds with competitive pricing. They’re based in the United States, which puts more pressure on the company from government authorities. Their one-year plan costs US$4.87/mo, making them one of the cheapest and fastest VPNs. Their main drawback is the lack of Netflix streaming. Allowing ten devices to stream simultaneously sets them apart from the competition.